Winter weather is not an equal opportunity attacker. Typically, precipitation is a vertically occurring event, and as such, your belly barely sees the action. 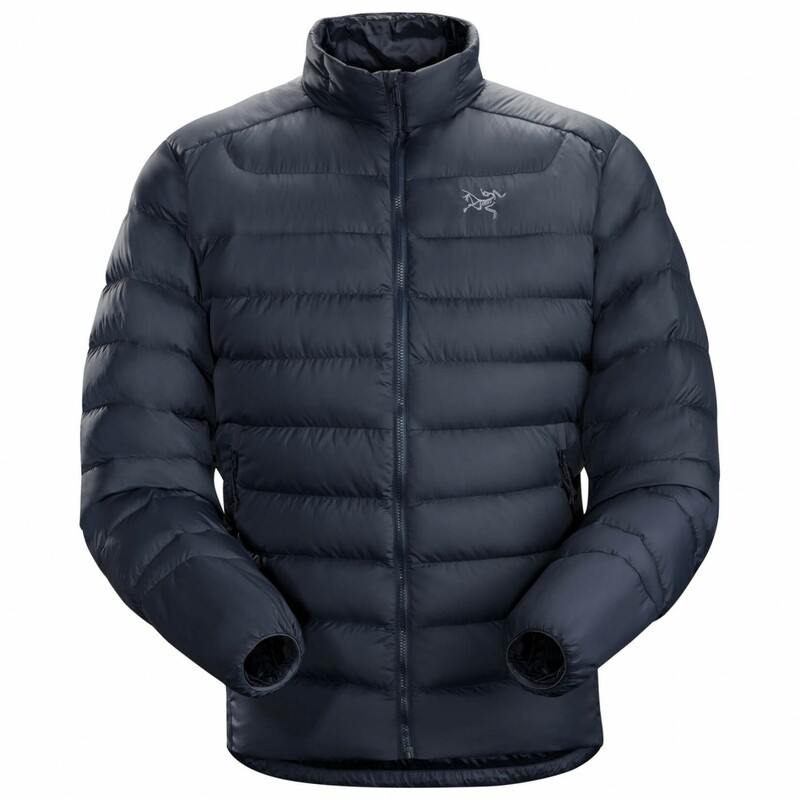 Consequently, the designers at Arc'teryx put 750-fill European grey goose down in the torso, relying on the odds that you won't be prone when the blizzard hits. 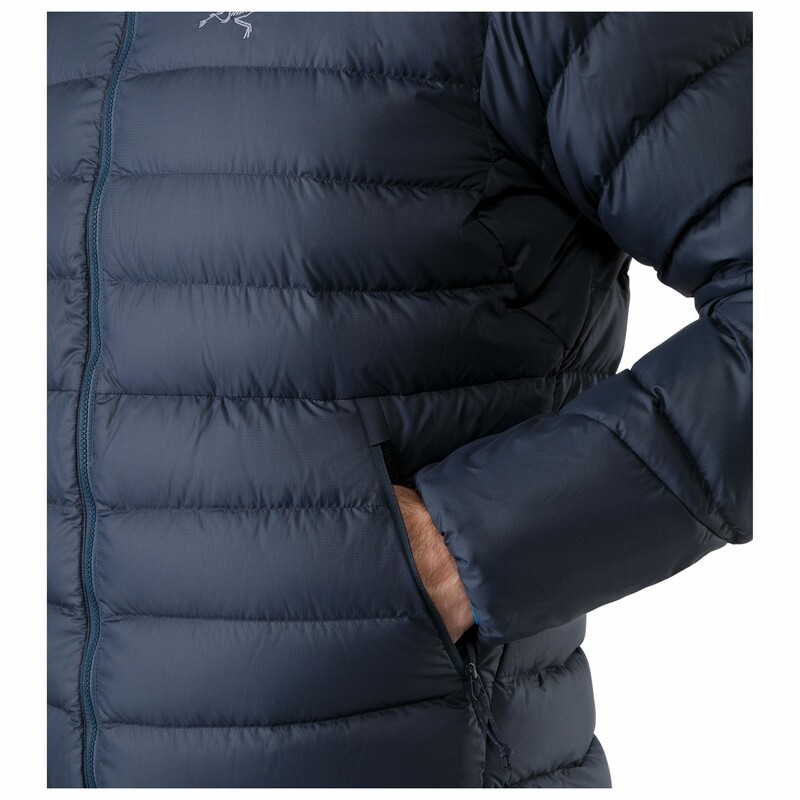 Likewise, the shoulders and collar are filled with Coreloft insulation, as those areas tend to shoulder the load of exposure when it comes to rain and snow. 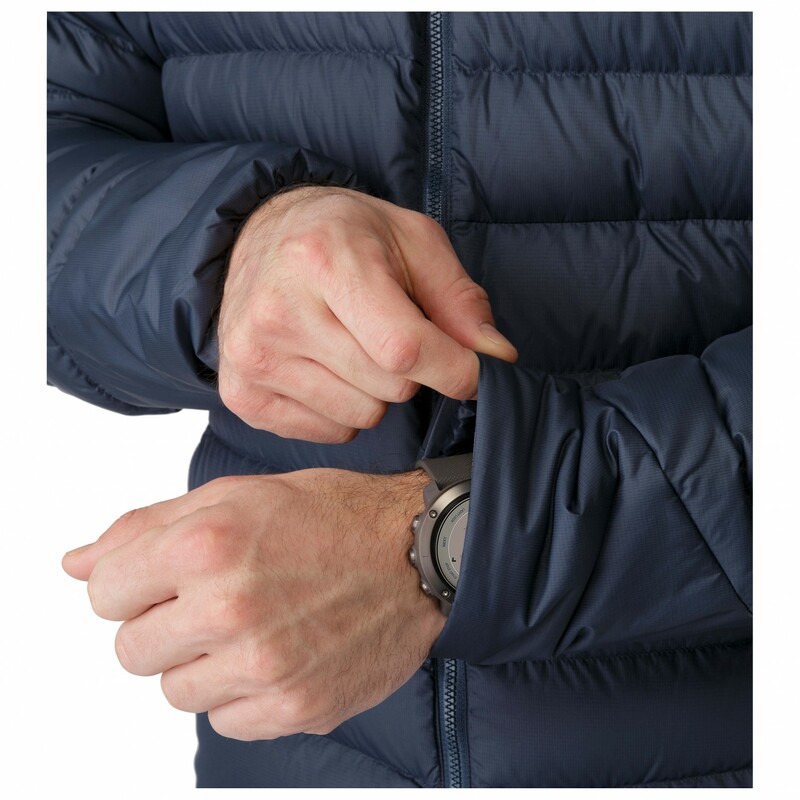 Because synthetic insulation resists water and dries quickly when wet, the strategic placement of both natural and synthetic insulators offer you the best chance of staying warm in the event of unexpected moisture. 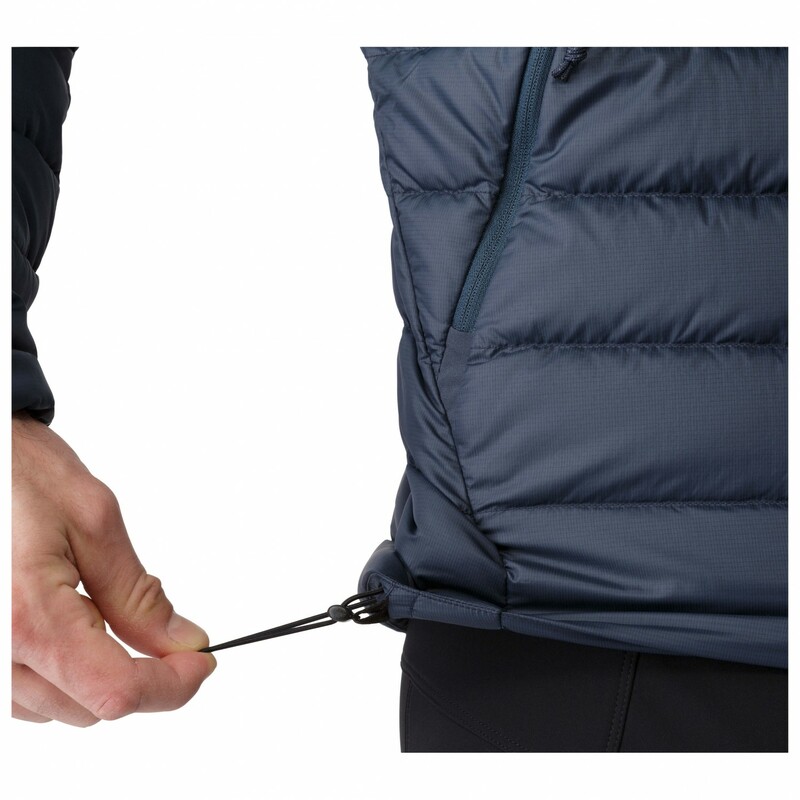 The non-stretch Colibri mini-ripstop nylon is treated with DWR so when flying flurries or slushy rain lands on the jacket, the water beads up on the surface rather than being absorbed by the fabric. 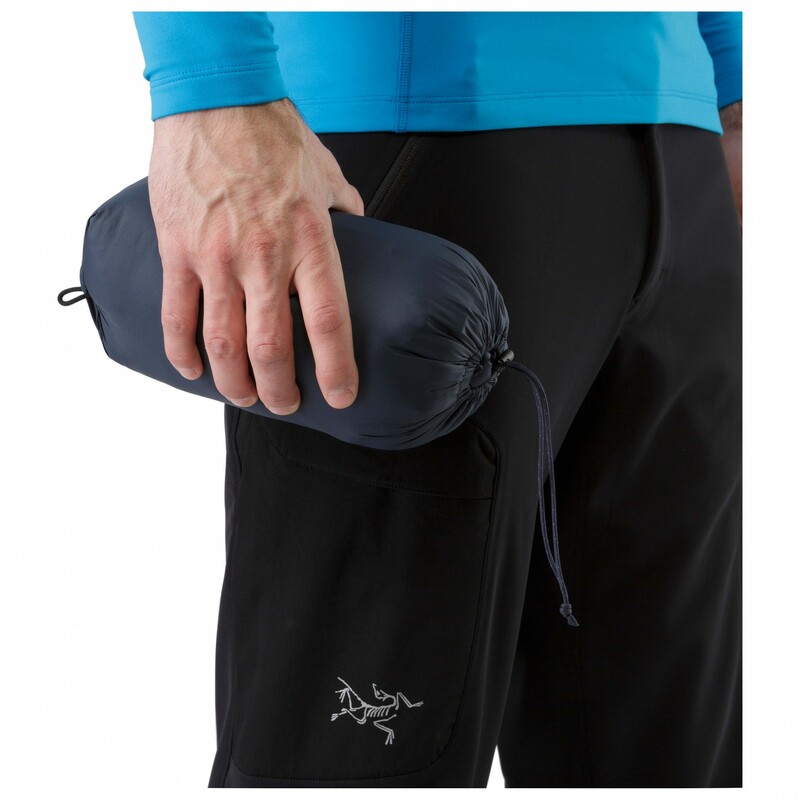 While you won't stay dry in a deluge, the water-resistant nylon outer provides time for you to find more forcible shelter. 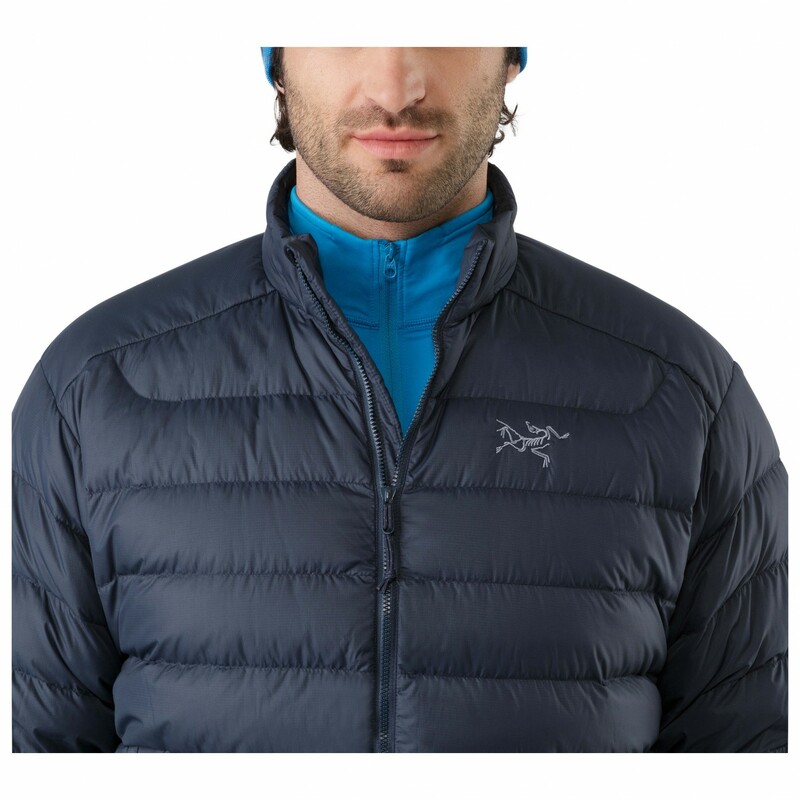 When you're packing for adventure, on the mountain or in Sweden for Vaffeldagen, space and weight matter. 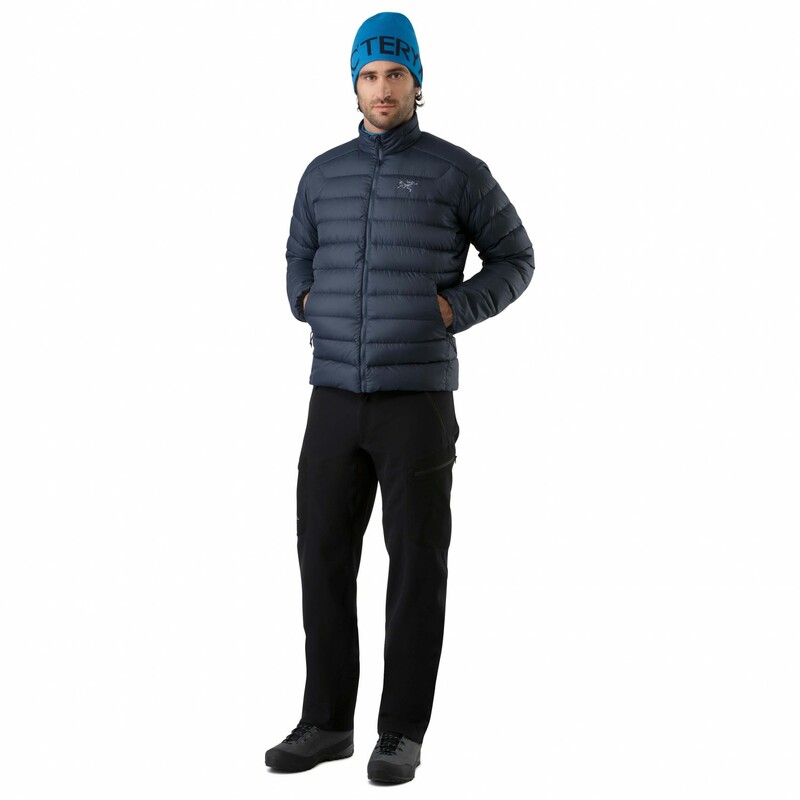 The one-two punch of synthetic and down insulation lightens the load, as this jacket only weighs a little over 12 ounces and crams into the included stuff sack with ease. 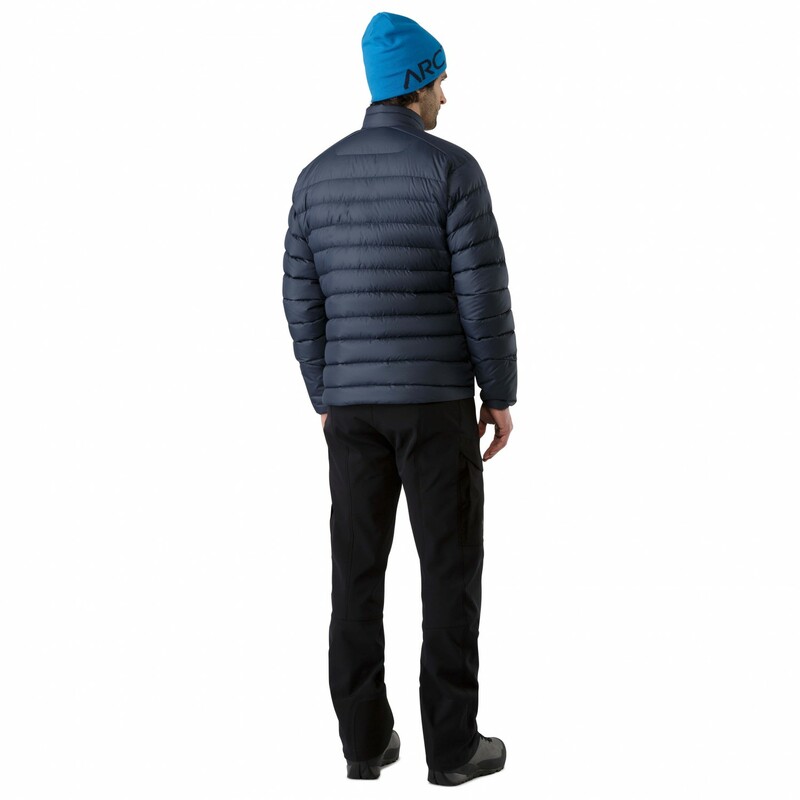 Whether you sit at the 50-yard line in Buffalo, sled with your 5-year-old, or snowboard with your college buddies, the Thorium jacket keeps you warm, on its own or as a layer.